Ultrasounds, also called sonograms, use high frequency sound waves to form a picture of the soft tissues in your pet’s body. 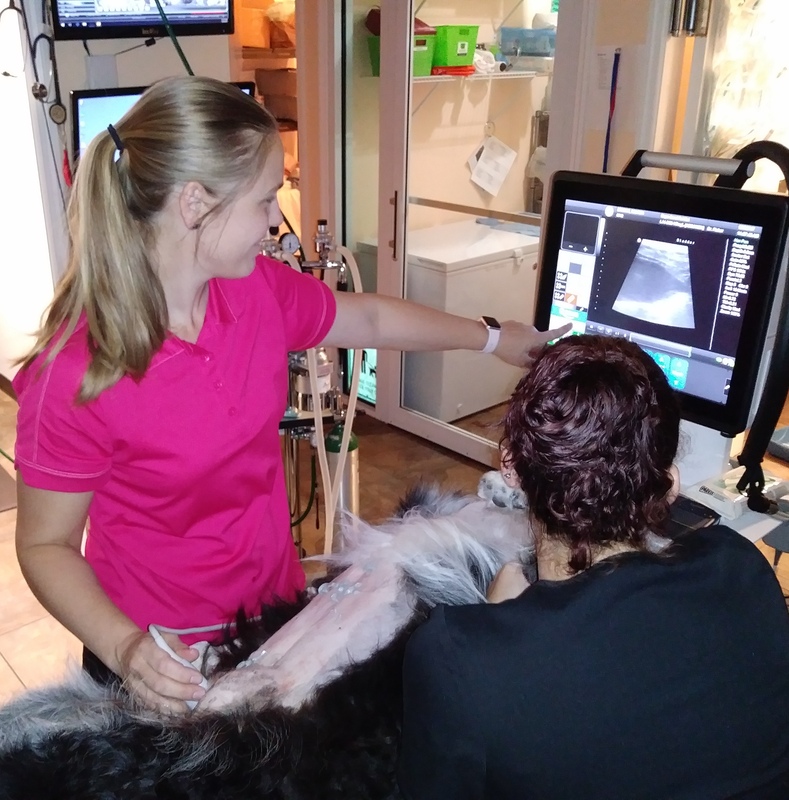 The diagnostic images are then used by your veterinarian to help figure out what is wrong with your pet, or very commonly, to help in pregnancy management. Basically, it allows your veterinarian to look inside you pet’s body without having to do surgery. Ultrasound offers a non-invasive, non-painful method for diagnosis and staging of many diseases. Ultrasound exams are considered to be very safe and may be performed for many reasons. Ultrasound is best for things like liver and kidney evaluations as well as pregnancies. It is not ideal for bones, and ultrasound waves do not work well in parts of the body where air pockets can block sound waves from passing through the body. Ultrasounds offer different information than radiographs (X-rays), but the two may provide complementary information.